In honor of the (hopefully!) fast approaching spring I’ve decided to give you a recipe for a yummy bouquet of flowers…cauliflower to be precise! Cauliflower really is a flower and so is broccoli! I almost didn’t believe it until I saw these fantastic photos! 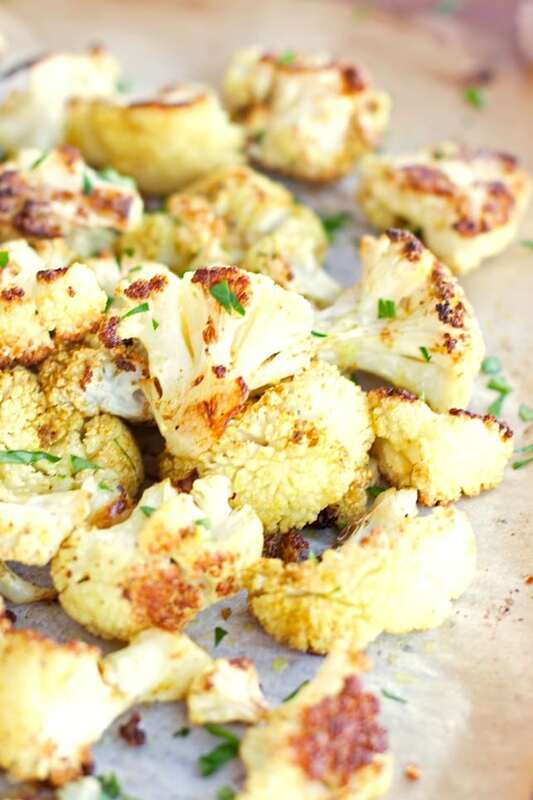 Just like the carrots in my delicious soup, roasting the cauliflower in a hot oven caramelizes the sugars, bringing out its natural sweetness and deep flavors. The curry and cumin play nicely with the sweetness, adding just the right little spicy kick. I really prefer and highly recommend using the full amount of olive oil in this recipe. It’s heart healthy and gives the cauliflower a super moist texture! If that doesn’t convince you, I have experimented with some substitutions that work really well too. 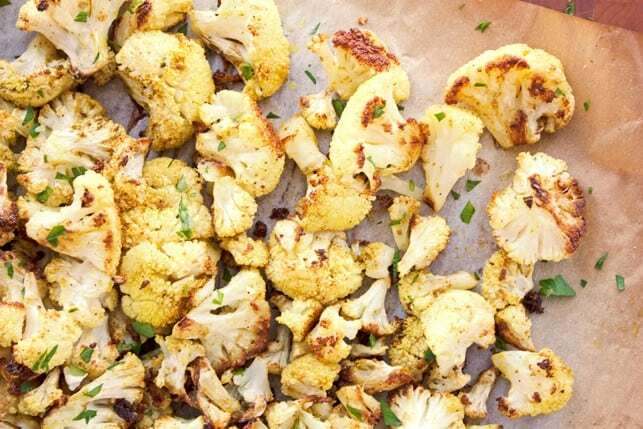 I’ve found that you can remove some or all of the olive oil by either spraying the cauliflower with cooking spray or soaking them in water or vegetable broth before roasting. 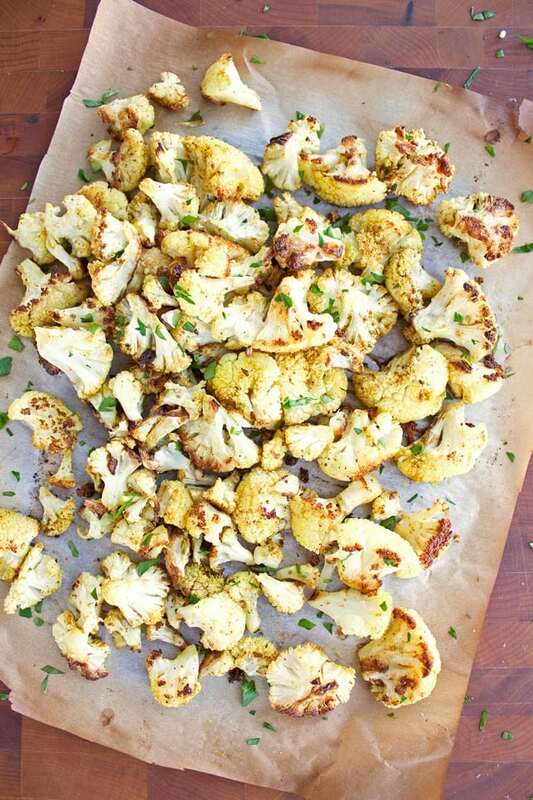 Both substitutions will give you tasty roasted curry cauliflower, with a fraction of the calories. Enjoy this delicious roasted cauliflower curry bouquet today! Happy almost spring everyone! The curry gives the cauliflower a spicy kick that goes perfectly with the natural sweetness and deep flavor of roasting! 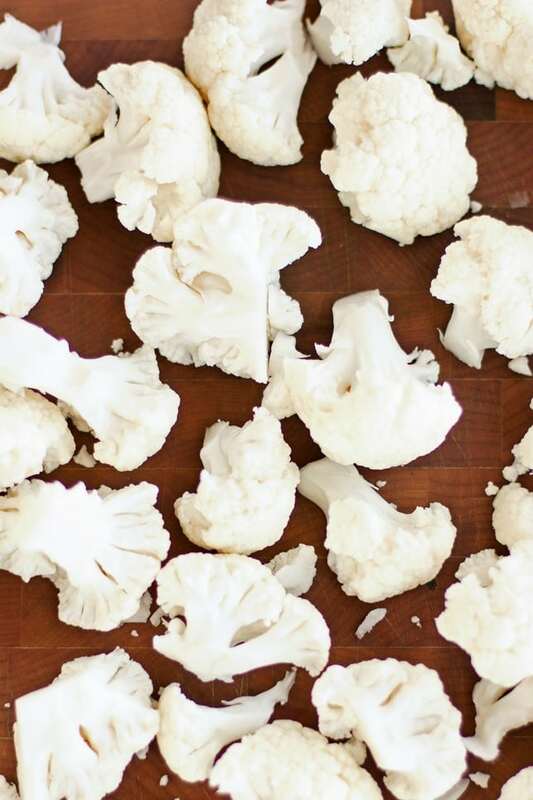 Chop cauliflower into florets. Mix oil with spices. 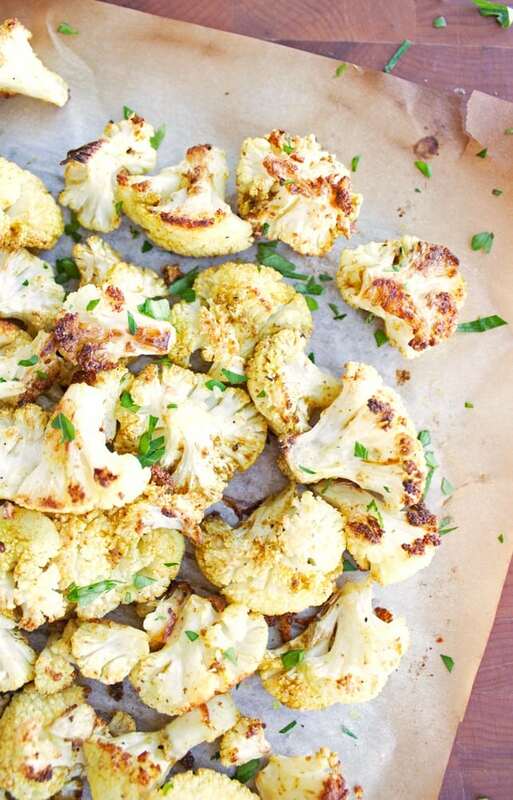 Pour spices over cauliflower. Toss with hands to coat, rubbing oil into cauliflower pieces. 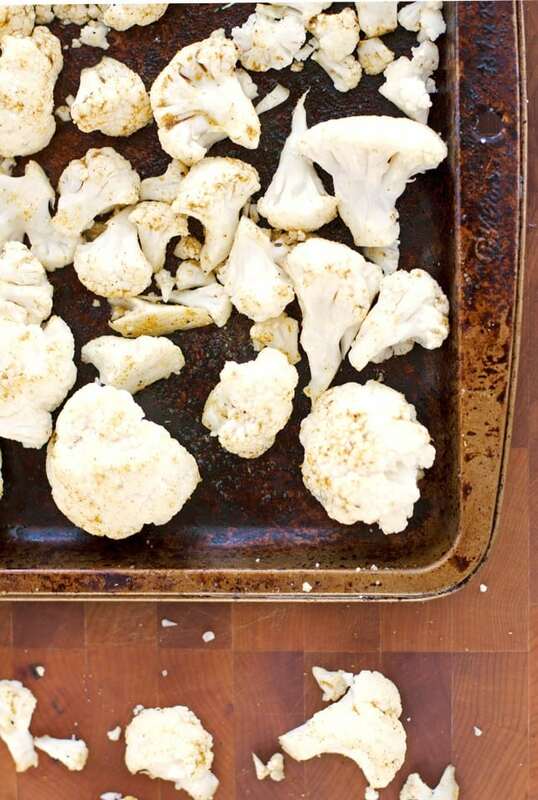 Arrange cauliflower in a single layer on a baking sheet. Roast until tender and slightly browned, about 30-40 minutes. Serve immediately. 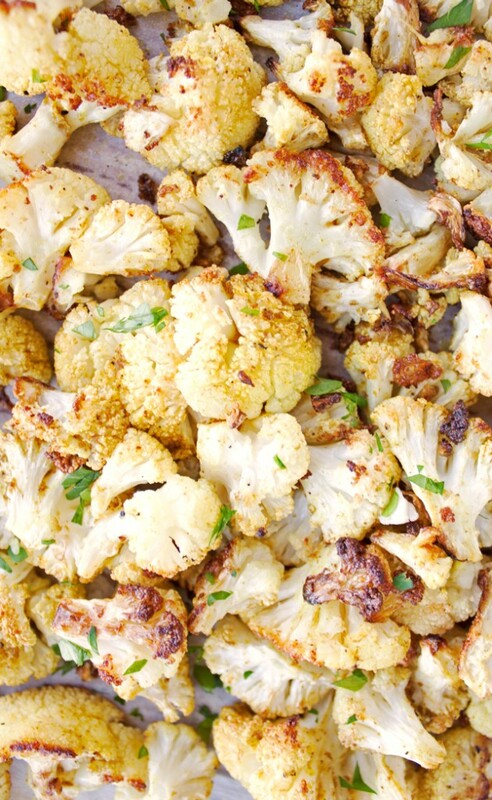 We love roasted cauliflower and will definitely be trying this variation soon. I’m assuming that the third ingredient should be 1 teaspoon of curry, though?